This post is sponsored by Hill’s. 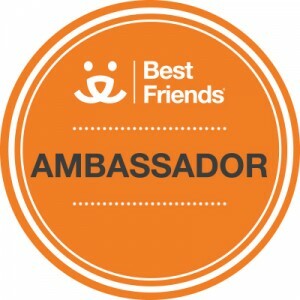 I am being compensated for helping spread the word about Hill’s® Food, Shelter, & Love Program, but The Tiniest Tiger only shares information we feel is relevant to our readers. Hill’s Pet Nutrition, Inc. is not responsible for the content of this article. 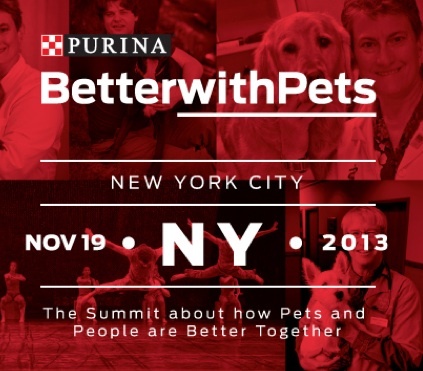 One of the speakers during Purina’s Better with Pets Summit, 2013 was Dr. Robin Downing. Dr. Downing has devoted her career to studying pet pain. She discussed myths about pain and aging and what we can do to help our aging pets mature gracefully. Dr. Downing’s talk really hit home for me. 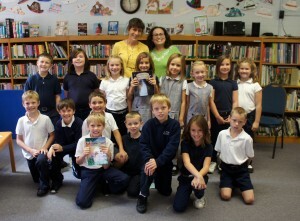 I couldn’t help but think about Gracey and hoping that I had done everything possible to help her remain pain free. We all have moments where we wonder if we did all we could for our loved ones. Listen to Dr. Downing talk to us about how to prevent our pets from suffering. She reminds us that aging is inevitable, but suffering is optional. 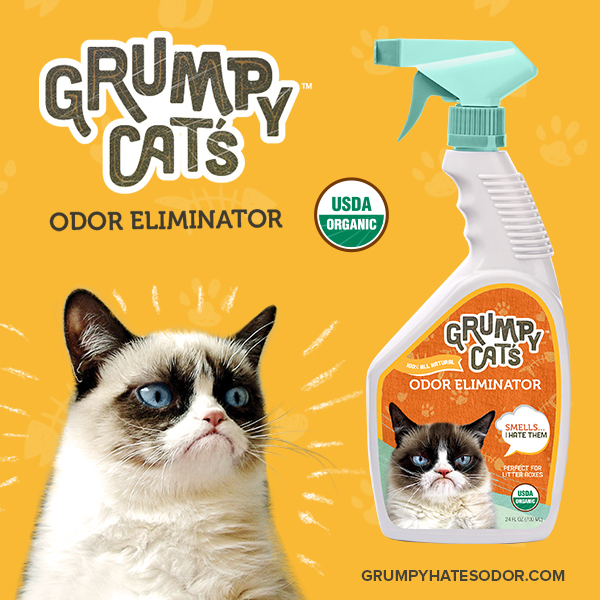 Why Is Grumpy Cat’s Odor Eliminator Different? Grumpy Cat’s™ Odor Eliminator does not simply mask or act as a temporary cover-up for unwanted odors. Instead, it uses 100% USDA-certified organic ingredients including Yucca schidigera. This plant has been used as a cleaning product and in more recent times to reduce ammonia levels, which are the leading cause of unwanted odors. I really like this video, A Cat’s Guide to Taking Care of your Human because it portrays cats in a more authentic way as affectionate, caring beings. I think I can speak for most cat lovers when I say we are sick and tired of the aloof, unconcerned stereotype that keeps being echoed throughout the media. 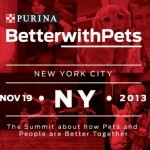 Gracey would have said Super Hurrah to Purina for this video. But don’t take my word for it. Here is the video. Pretty great video, isn’t it? 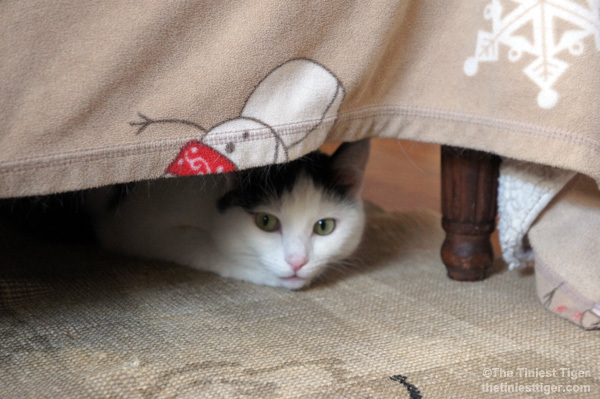 It seems almost every day something curious about cats pops up in the news. 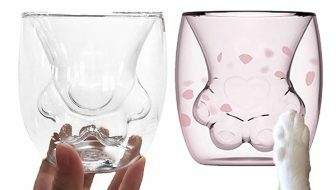 I often find myself reading the cat news and wondering what you might think about some of the interesting new products, trends and ideas that surface on the internet. So we started the Reader Opinion Poll where post a couple of cat topics and then we can all weigh in with what we think about them. At the end of each topic summary, there is a poll that asks you to vote by selecting Purr, meaning you like this idea, Hiss, meaning you don’t like this idea. and Yawn, meaning you are indifferent; you neither like nor dislike the idea. Here is the first topic. 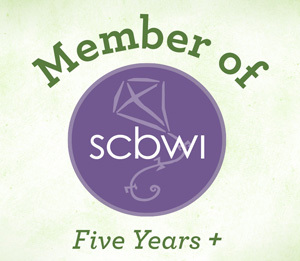 Voting is open now and our video The Tiniest Tiger’s Snow Adventure is a Semi-Finalist! 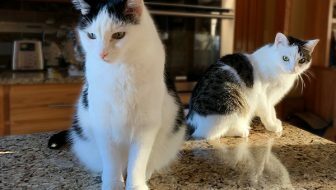 From the thousands of cat videos entered this year, Friskies and the contest judges selected 20 Semi-Finalists to compete for a spot as one of 12 Finalists. 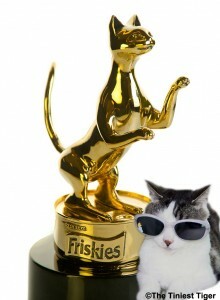 The top four Category winners and one Fan Favorite winner will be awarded $25,000 in total cash prizes and gold-plated Catuette trophies at “The Friskies” Award Show October 15, 2013. 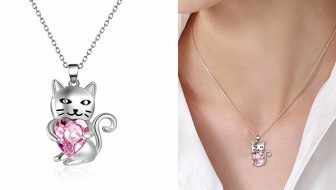 The show will be hosted by comedian and cat owner Michael Ian Black, and broadcast online at www.TheFriskies.com. 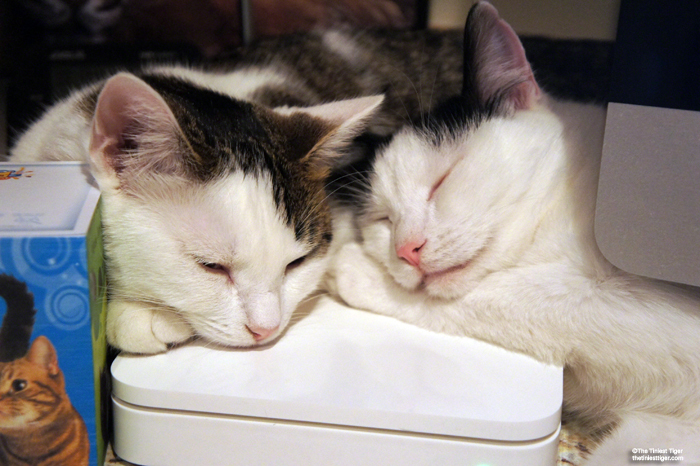 Even though cats outnumber dogs living within homes, cats remain thought of by many as aloof, anti-social and not needing the love and attention that dogs are given. 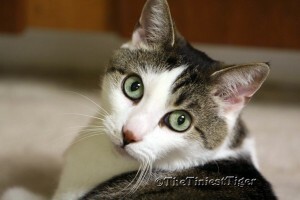 Cats are mistreated and sometimes maligned because they have been misunderstood. 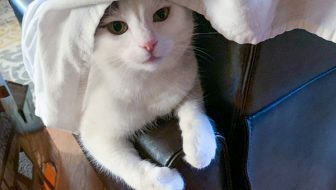 Stereotypes about cats sadly remain firmly in place so the team at Purina One decided to dig deeper and learn about the cat’s true nature and what makes a cat…a cat! 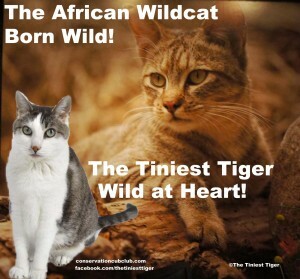 Our domestic cats roots can be traced back to the African Wildcat. 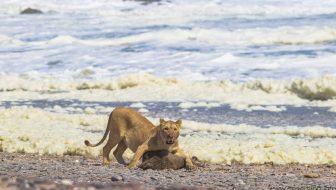 So Purina One decided to go to Africa to learn more about our cats living ancestors so that we could all achieve a better understanding of what our own cats need to live their best lives. I was thrilled to be asked by the Purina One team to join in the journey to discover the true nature of cats where we discuss and explore how to awaken, foster and nurture the natural instincts within our cat so that their lives will be enriched and in turn our own lives are better knowing that our feline family member is enjoying her life to the fullest. 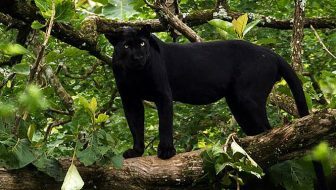 I was in my final year completing my master of zoology with a focus on big cats when I first learned about the Purina One program. 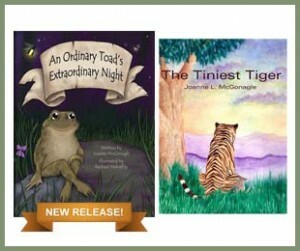 I was so excited because The Tiniest Tiger children’s book compares and contrasts the similarities and differences between the big cats and their domestic cousins that share our lives. 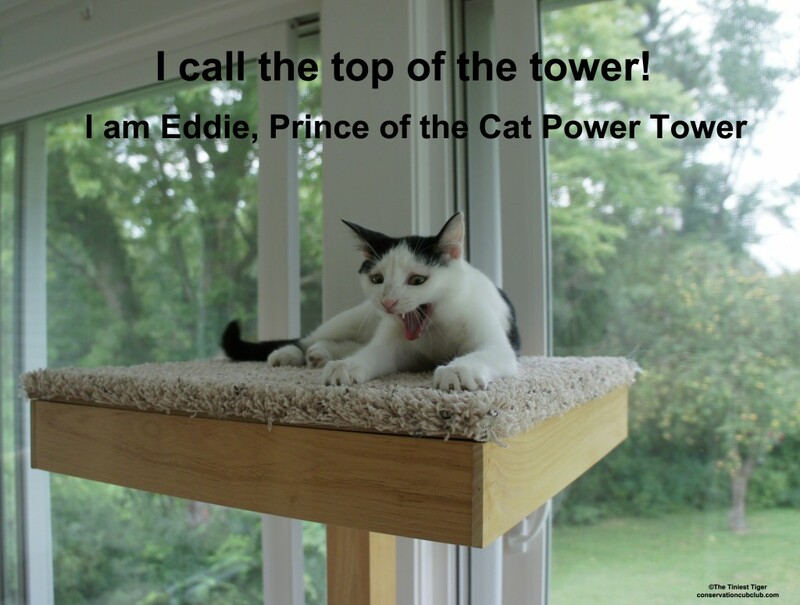 Who was your cat born to be?